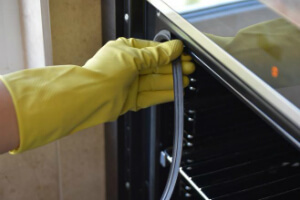 Oven Cleaning Commercial & Residential Kitchen Newham E | Quality Property Care Ltd.
Every housekeeper needs a modern and fast professional oven cleaning! Quality Property Care Ltd. offers it at a budget-friendly price and without any impact on your healthy lifestyle! Don't hesitate to get your residential and commercial oven cleaning on 020 3746 4287 365 days per year with no exception for holidays or weekends! In addition, our professional oven cleaning company Quality Property Care Ltd. is a master of sanitising of all these widely spread cooking device brands: Smeg, Rayburn, Rangemaster, Alpha Range, Stanley, AGA Range. We hire only well-trained and educated oven cleaners Newham E with great approach to detailed cleaning and finest skills. If you believe in healthy nutrition and lifestyle, you should never forget about the clean environment. It is more important than the origin of the products you cook. So don't leave your oven full of bacteria, greasy and dirty. Whatever it is, you can rely on our first-class oven cleaning service. 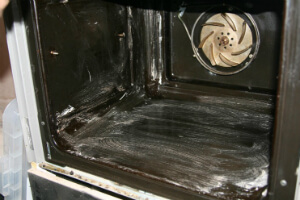 To properly clean your oven, regardless of the brand, we use a dip tank method to degrease all removable oven parts. First we take apart anything we can, extractors and trays are taken out and dipped into a special mixture of water and a degreasing detergent. That way they are completely stripped from the most stubborn grease patches. Panels, control knobs, racks, extractor filters and trays are all removed and dipped in the tank to soak. After all parts are removed we start removing the burnt food leftovers. If left unchecked it may cause damage to the fans and filters of the oven as well as affect the quality and taste of the food. To degrease the oven we use a special detergent that removes the bind of the fat molecules bound to the surface of the oven panels. It is harmless and leaves no trace once cleaned away. We scrape any leftover grease from the removed parts as well as the oven itself, all dirt and grime are removed with a special spatula. If you want we will clean your entire kitchen with the appliances with a discount on the price. We are also capable of cleaning single wide ovens, range half size ovens including their trays and racks, warming drawer doors, master range excluding burners, small barbecues and large barbecues. We work with safe detergents and tools which allow us to remove dirt without poisoning the surfaces that touch your food. The biodegradable solutions allows us to safely clean your kitchen and appliances without you having to worry about hazardous residue entering your food. To ask about current deals, and to book the professional oven cleaning services, you need to call on 020 3746 4287 or send an online booking request. You will receive a written confirmation in your email and as a SMS. No deposits and no hidden fees. Combining more than one cleaning services will earn you very attractive discounts.